Kolkata is the Cultural Capital of India and the Financial Hub of the eastern India. 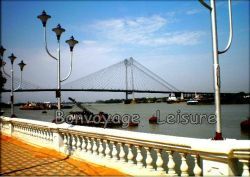 Kolkata is situated on the eastern bank of river Hooghly. The city was the Capital of former British rulers until 1911. Kolkata is not an ancient city by means. Actually the city is really a British invention and the history of Kolkata dated back 300 years. Although the archaeologists believe that the area has been inhabited for the last two thousand years. But the documented history of Kolkata started from the arrival of British East India Company during the late seventeen century. Kolkata, the City of Joy established in 1690 by Job Charnok, an agent of East India Company for the expansion of British trade settlement. Three villages Kolkata, Sutanoti and Govindopur which were located on the eastern bank of river Hooghly had been chosen by the British East India Company and bought the title of Zamindari of these three villages fro local land lords with the financial and other assistance from Armenians. The East India Company constructed Fort William between 1699 to 1707 to station its troops and use it as a regional base. Since the formation of Kolkata, the city developed steadily under East India Company. In the year 1756, the Nawab of Murshidabad, Siraj – Ud – Daula attacked Kolkata and captured it. In the early 1757, Robert Clive won back the city from Siraj – Ud – Daula. In 1772, the then Governor General Warren Hastings got the permission of British Parliament to shift British Head quarters from Murshidabad to Kolkata and formed the capital of British India. 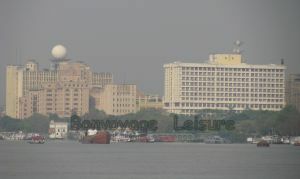 Kolkata went through a transition between 1780 and 1820 and the great Bengal Renaissance started. This resulted into many reform movements. Gradually Kolkata became the nerve centre of Indian Independence Movements. Apart from Indian National Congress, a number of societies based on the social and nationalists ideals were also sprung up all over Kolkata. Eminent personalities like Subhas Chandra Bose, Rabindra Nath Tagore, Swami Vivekananda and many more had chosen Kolkata s their Karma Bhumi. In 1905, partition of Bengal resulted in widespread public agitation and the boycott of British goods. Facing fierce Swadeshi movement for seven years, the British rulers withdrawn the separation of Bengal. But shifted their capital to Delhi from Kolkata in 1912. The part of Kolkata city experienced the Japanese bombing twice during the worl War II. During the period of 1797 – 1805, the Governor General Richard Wellesley was largely responsible for the growth of Kolkata city and its public architecture which led to to the description of Kolkata as “ THE CITY OF PALACES”. Some of the major buildings of British Raj are still well maintained and some of them are declared “ Heritage”. Established in 1814 , the Indian Museum is the oldest museum in Asia and houses vast collection of Indian History, Art and many other things. Victoria Memorial Museum documenting the city’s history. National Library, India’s oldest and largest Public Library. Kolkata High Court, formerly known as the High Court of Judicature at Fort William came into existence in 1862. The Kolkata High Court is the oldest High Court in India and among the three chartered High Courts to be set up in India along with the High Courts in Bombay and Madras. 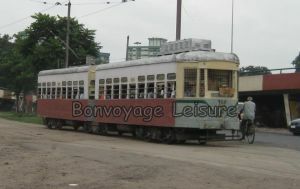 Kolkata got the first Underground Mass Rapid Transit Urban Railway or Metro Railway network in India. The full scale operation of the Metro Railway started in February, 1995.